Nick Earls is a traditionally published Australian author who went with indie press Exciting Press, run by author Will Entrekin, to crack the US ebook market. He’s joining us today to talk about his experience, especially the differences between traditional and indie publishing (hint: fewer meeting hurdles). Reviewers have compared my work to that of JD Salinger, Martin Amis, Jeffrey Eugenides, VS Naipaul, Woody Allen, Raymond Carver and, most often, Nick Hornby. Perhaps that just shows I’ve been reviewed a lot, since I don’t think I can draw the Venn diagram where all those writers intersect. I’m interested in people and how they work, so that’s what I write about. Comedy often finds its way in there, one way or another. As far as my indie e-books go, we’ve started by releasing a novel, a couple of novellas and some short stories, and I think they give some idea of my range, from carefully observed small moments in regular lives to slapstick involving body parts to one story featuring a unicorn. There will be more to come in the months ahead (more e-books, probably not more unicorns). 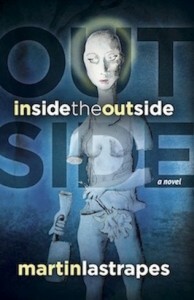 Martin Lastrapes couldn’t find a publisher willing to take chance on his literary horror novel, Inside the Outside, so he decided to publish it himself. Like indie author Robert Bidinotto, he hit the best-seller lists — passing Stephen King on the horror list at one point. He joins us today to talk about why he decided to go indie and what that means for writers going forward. 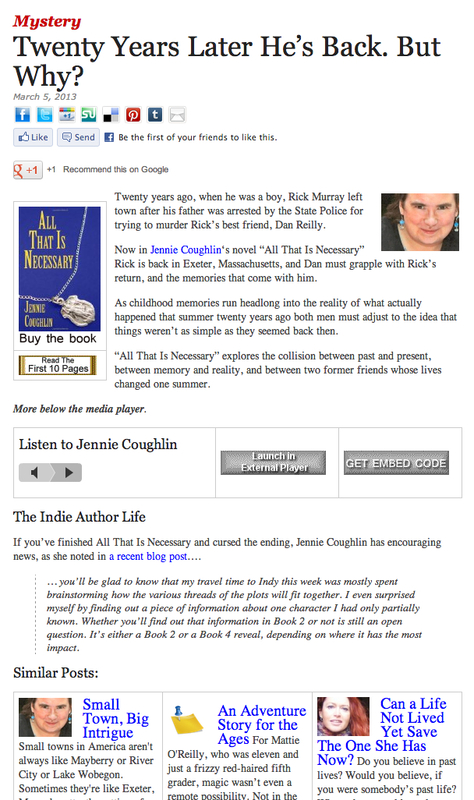 My first (and, as of yet, only) indie book is called Inside the Outside. It’s a literary horror novel about a teenage girl, named Timber Marlow, who grows up as a cannibal within a cult in the San Bernardino Mountains. Beneath the violent and occasionally grotesque content within the novel, Inside the Outside is, at it’s best, a coming-of-age-story. Will Entrekin describes Inside the Outside as the best book he read in all of 2011, indie or traditional, and you had some immediate success when it was released, beating out Stephen King at one point on the Amazon Horror bestseller list. What was it like to have such a warm reception for your debut novel? It was a relief to be honest with you. As any author can tell you, your books are like your children and Inside the Outside is no exception. I knew it was a strange book when I wrote and I worried that it would get bullied in the playground. So when readers, like Will Entrekin, offered generous praise for the book, I felt equal parts relief and gratitude. And then, of course, when people actually started buying the book and I saw Inside the Outside move ahead of Stephen King, I felt like I was living somebody else’s life. What prompted you to decide to publish your book instead of go the traditional route? 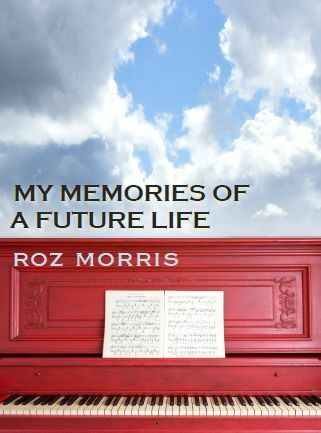 Roz Morris is a best-selling ghostwriter and book doctor in the UK, but when it came to publish her own work, she decided to go the indie route because what she wanted to write wasn’t what publishers wanted to sell. She talks about her choices, including a decision to serialize her literary novel and what it takes to make that concept work. She mentions further down, the differences between British and American spelling, usage and punctuation make it difficult for her to feel comfortable editing an American work, so as an example, I’ve left the British elements intact. I’ve indie published two titles. One is non-fiction — Nail Your Novel: Why Writers Abandon Books and How You Can Draft, Fix and Finish With Confidence. The other is a contemporary literary novel — My Memories of a Future Life. After ghostwriting so many books for traditional publishers, what made you decide to publish your own work? Both my self-published books were accepted by agents and sent to editors. But although I was known as a ghostwriter — indeed a bestselling one — my own books were very different. With the novel, the ghostwriting opened doors. I had Big Six editors querying me, in fact. They knew I’d ghosted thrillers and were hoping I would write them something that was easy for the marketing department to sell. When My Memories of a Future Life was ready they liked it very much, but said it was too original — marketing departments wouldn’t want to promote an unconventional novel from an unknown debut author. Some of them said that if I made it more like a conventional thriller, or a timebending murder mystery they might take a punt. However, I wanted to explore deeper questions and take the story in unexpected directions, so I stuck to my guns. And the feedback told me that if those editors had bought my novel in a shop, they’d have told their friends it was a good read. Going indie was the obvious choice. That may seem unjust, but it’s the state of the industry. Writers sell either by publishing in a genre or by having a marketable name. If you don’t fit either of those categories, you’re a risky proposition. And you find when you try to sell your kooky novel by yourself under your obscure name what a hard job it is. Indie may be easy to start, but it’s not easy to make a success of. If you’ve been to Porter Anderson’s weekly Writing on the Ether column today, you saw the comments from Roz Morris (next week’s Indie Interview) about how marketing is winning out over editorial judgement at many publishing houses because publishers are afraid to take risks. Author and ESPN fantasy football analyst Christopher Harris found that out firsthand when his agent couldn’t find a publisher for Slotback Rhapsody, his debut novel, because they basically didn’t think they could market a sports novel. So he decided to go indie, and joins us today to talk about that. Tell us a little about your book, for readers who aren’t familiar with your work. 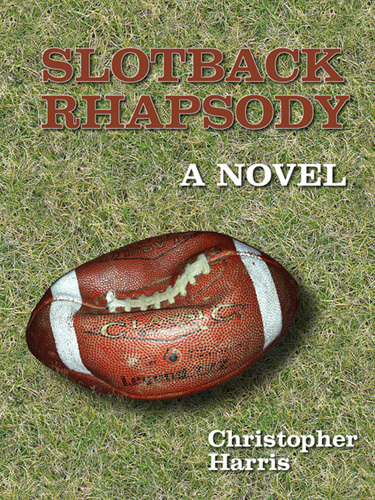 Slotback Rhapsody is a novel that’s nominally about pro football, though I’d like to think you don’t have to be a die-hard fan to enjoy it. It’s a story about a small but talented running back who’s always sort of gotten in his own way in trying to make the pros, but has adopted a (rather bowdlerized) Buddhist mindset for one last go-round. He ventures to Detroit to try and make a team, gets hooked up with an HGH dealer, makes compromises and has success. There’s a fair amount of on-field and locker-room action, but also a fair amount of kicking around the question of the price of focus. What does it take to dedicate yourself totally to something? How can you be personally satisfied when your success is absolutely determined by others? Oh, and there’s vegetarianism. Lots of vegetarianism. You’ve had some short stories published, but you also have lots of sportswriting experience for various outlets. How did the two types of experience factor into writing and publishing Slotback Rhapsody? 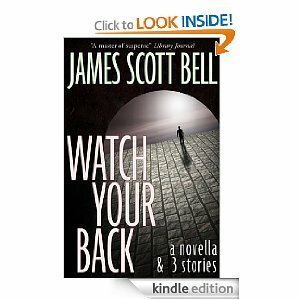 James Scott Bell is a best-selling suspense writer who is known to writers of all genres for his writing books, including the new Conflict and Suspense handbook. He was the fiction columnist for Writers Digest and continues to blog about writing weekly at The Kill Zone. And, like a growing number of traditionally published authors, he’s started exploring indie publishing for some of his work. I have great admiration for the old pulp writers, the guys who made a living pounding out stories during the Depression, some of whom became truly great. People like Hammett, Chandler, Cornell Woolrich. I like the idea of being prolific and being good at the same time. That’s what I strive for. With indie publishing, I can put out more work for my readers. I specialize in suspense. Last year I published two collections that each included a complete novella and three stories. I did the novellas in the style of James M. Cain, another prolific writer of the old school. One More Lie is the title novella of one collection. It’s the story of what happens when you make one bad choice and try to cover it with another. Watch Your Back is the novella in the other collection, and it’s one of those stories where the too-slick hero gets involved with a femme fatale. Sort of like Double Indemnity. Who is using whom? This collection also features a story readers seem to love, “Heed the Wife,” with the sort of twist ending I love. I find these types of stories to be profoundly moral. I think the best noir comes out of the view that rough justice happens. It’s not pretty, but it gets the job done. Also, I put out a collection of some of my articles on fiction writing as an e-book, Writing Fiction for All You’re Worth. And I started a short story series, boxing tales set in 1950s Los Angeles. All this was done as I completed work on my contracted books. You have several books published through traditional publishers — including a new writing book through Writer’s Digest. What made you decide to self-publish some of your work? Do you plan to keep doing both, or are you leaning toward one over the other?